Canonburycreations: Back in the saddle! It was very hot for September and we took it easy, either by the pool or venturing out in the car for lunch! 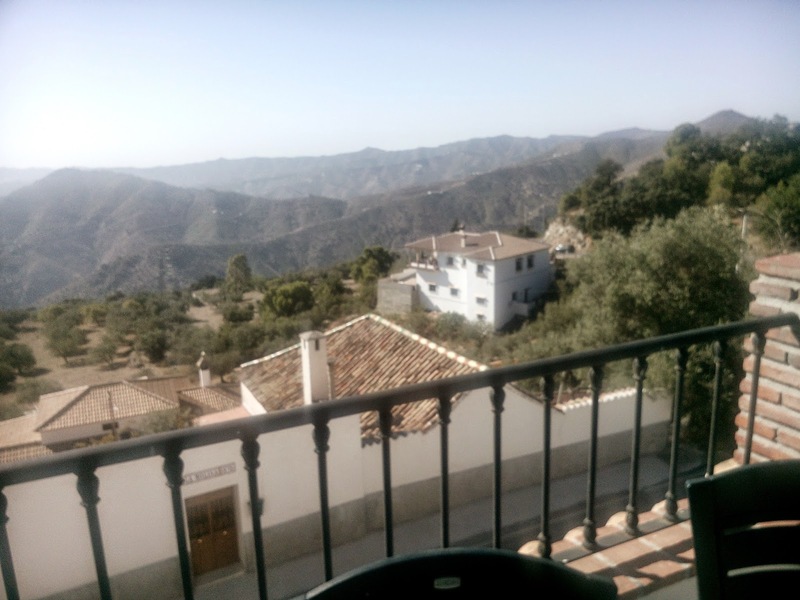 This was a favourite overlooking Lake Vinuela. And finally one evening we were having dinner and watched an enormous harvest moon rise up behind the mountains and on the way home we saw a shooting star for the first time! I've been busy making a card for my wonderful DIL's 30th birthday next month so you'll have to wait for that one and also a couple of commission cards but nothing I can show yet. I had a great crafty fix on Saturday at the BSS fair at Ally Pally and managed to spend a few pennies on a couple of Sue Wilson dies and some card stock. Glad you had such a fab time Val. I have another 2 weeks left before back to the UK.... been very hot here too. Great photos Val, you obviously had a great time.......especially meeting up with Flo. Love the look of the citadel. 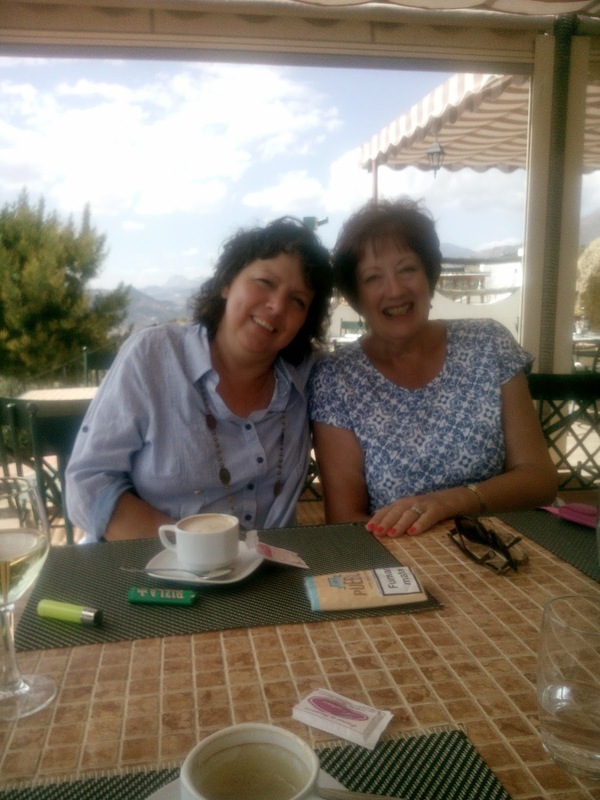 reading your post brought back memories of my trip to spain and of meeting Flo. I remember that lake well ahhhhhhh. What a gorgeous view from your terrace am not surprised you didn't want to wander to far from here.